The key to any successful campaign is its leadership. 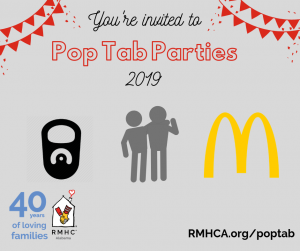 When Ronald McDonald House Charities of Alabama set out to expand the House, we knew we would need strong campaign leaders. We have been blown away by the hard work and dedication of our Healing Together Campaign Co-Chairs, William D. Puckett, II and Jeff Logan. Wil Puckett has served on the Board of Directors for the charity since 2013 and currently serves as treasurer. He is the Birmingham Market President of Renasant Bank and a native of the city. Wil is happily married to Aimee and has one child, McGivern. His family enjoys living in Birmingham and being involved with the growth of our city. Wil told us, “The generosity in this community continues to impress me.” That is something he has seen over and over as he helps us reach our goal of $7.5 million needed to expand. 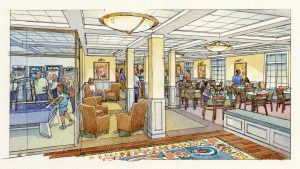 “Due to strong community partners and with the help of a significant lead internal gift, the campaign to raise funds is making good progress having raised 86.87% of the needed funds for expansion. However, we are now entering a critical phase of the fund raising process depending on donations from smaller companies and individuals to achieve our goal. 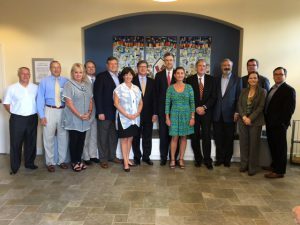 It is our hope and expectation that Birmingham will rise to the challenge of raising funds sufficient to complete the needed expansion and to continue to be recognized as a leader in pediatric care in the Southeast and the nation as a whole,” Wil told us. Jeff Logan has also served on the Board of Directors since 2013. He is the owner of the Birmingham Barons and CEO of Seek Publishing. Jeff and his wife Katrina have two children, Mary Clark and Grace. The family understands the importance of giving back. Jeff was first exposed to the Ronald McDonald House when the Barons began playing downtown and the team decided to give tickets to the kids staying at the House. With hopes to break ground in early 2017, funds are still needed. Those who wish to donate toward the Healing Together campaign can contact Kathy Robson, RMHCA’s Director of Development at kathy.robson@rmhca.org or (205) 638-7258. You can also learn more or give online at www.RMHCA.org/expand.